While there’s no doubt that practicing physicians face many (well-documented) challenges, many also continue to love what they do, and find the opportunity to help others — even with all the paperwork — still accessible, and still rewarding. A recent NPR blog focused on Bay area physicians leaving medicine to become entrepreneurs has sparked considerable dialog on social media (see here for my recent discussion of physicians-turned-entrepreneurs). My sense is that many physicians are attracted to entrepreneurship not to escape medicine, but to deliver on their perception of medicine’s promise. Frontline providers, as Aenor Sawyer of UCSF’s Center for Digital Health Innovation frequently emphasizes, offer vital insights into where the existing system may not be working, and where innovation is sorely needed. I view entrepreneurship as reflecting the translational impulse in perhaps its rawest form – a desire to apply a new technology, approach, or way of thinking to a thorny problem, and deliver an impactful solution, as evidenced by real traction in the marketplace. Entrepreneurship obviously isn’t the only expression of translation, nor the only way to envision translational success, but for many, it’s a compelling approach, and real-world adoption a compelling metric. Of course, practitioners were represented (eg Howard Levy, a primary care physician and geneticist from Johns Hopkins); so were medical center leaders (Intermountain’s CMIO Stan Huff, a clinical pathologist and informaticist by training), as were doctors working at emerging companies (Cathy Petti, an infectious disease physician who recently joined Ancestry.com as Chief Health Officer; I’d put myself in this category as well). 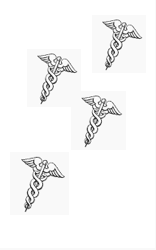 But physicians in a range of other roles were also present – docs who work in government (Congressman Michael Burgess, who trained as an ob/gyn; Jon White, a family medicine doctor now Acting Deputy National Coordinator in the ONC; and Taha Kass-Hout, an internist who is now the FDA’s first Chief Health Informatics Officer), docs who work for health-IT companies (Joel Diamond, CMO at Allscripts, who also maintains a private practice in family medicine), for EHR companies (David McCallie Jr, a Brigham-trained neurologist now SVP of medical informatics at Cerner), and for consultancies (Asif Dhar, an MD/MBA now Chief Health Informatics Officer at Deloitte; Cecil Lynch, who trained in Ob/Gyn, and is now CMIO at Accenture). There’s more: the keynote was given by John Mattison, who trained in internal medicine and critical care, and is CMIO of Kaiser Permanente’s Southern California region by day, and a techno-visionary in his spare time (Google him). Other physician participants represented disease organizations (oncologist Len Lichtenfeld, deputy CMO of the American Cancer Society) and standards organizations (Charles Jaffe, who trained as a physician-scientist, and is now CEO of HL7). I’m sure there were others I missed. The point is, during training, physicians contemplate what seem like a very narrow series of choices – do you want to go into private practice (boo, hiss) or become an academic physician or physician-scientist (yay!). A few strays might even join a pharma company (quelle horreur!). With the popular ascent of entrepreneurship, starting a new company or joining an emerging one has become as another defensible alternative (at least in some circles). Medical schools and residency programs would do well to recognize, acknowledge and enlighten trainees about the diversity of career paths that are now available, avenues of personal development that, in effect, offer the possibility of allowing each of us to perform at the top of our own license.